TelOne, the State owned telecoms operator with the sole mandate on fixed landline services has had a bit of a bitter sweet year. On the one hand it has been glowing in the light of positive financial results, clutching a decent product portfolio and enjoying a growing presence in the rollout of broadband services, where telecoms seems to matter the most these days. But on the other hand, it’s haunted by demons form its past, saddled by a legacy debt from a bygone era when it was known as the PTC and it wasn’t as commercial as it is now. Back then, it could, in essence, offer services on credit through a not so strict post-paid billing system. That was then. Now things have changed and to fix this, it has been working on introducing prepaid billing system which is meant to help manage debt and give its customers an alternative that has automatic budgetary controls. According to an article in the Sunday Mail, the first phase of the prepaid system rollout has begun and it is now being used in different areas across Zimbabwe. 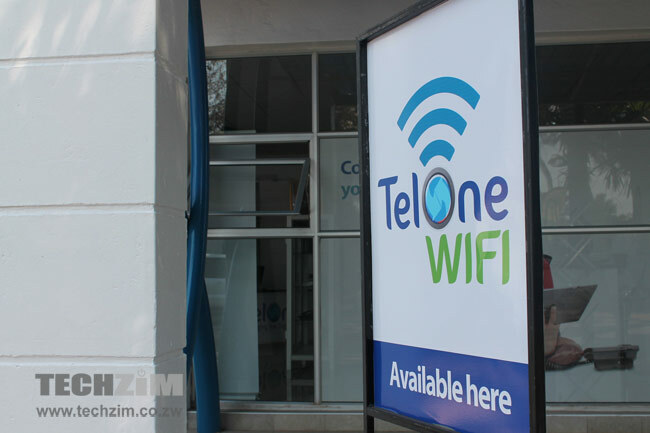 Pumtree, Kariba, Karoi, Mazowe, Ruwa, Marondera and the high density suburb of Chikanga in Mutare are some of the areas in 6 different provinces that have been cited by TelOne as places where the prepaid system has been introduced for TelOne broadband and voice products. Assuming that this prepaid system is successfully rolled out to all of TelOne’s service areas, thanks to the $98 million facility that was sourced by the government (its owner) from China, TelOne will be better placed to collect future revenues. It could also create a channel for some form of debt payment from its customers, much in the same way that ZESA, another parastatal suffering from yesteryear debt, has managed to start collections on outstanding bills through its prepaid model. Tel one’s billing is weak. I have been enjoying free Internet for the past 5 months after paying the $89 package. Every system have its weakness, what is important is for TelOne to hunt the bugs everytime and take correction measures. Lucky you!! I have data that seems to be consumed by a virus from somewhere… Can’t understand how it can go so fast. Have never had this problem before with Telone. If you are familiar with wireshark it might help. You can also try Solarwinds bandwidth monitor. Spiceworks network monitor can pinpoint what app is using what thru the app monitor. Thank you. I do have a data monitor on my Lap… In 8 days 9 gigs had been consumed according to Telone’s Counter, but my data counter only reads around 2 gigs used. It is also known around the world for data to be hacked from its Ist Point of Source, but hard to prove. Hop u r nt using windows 10 , try to switch off automatic updates in every app , and dont forget to check if windows updater is checked to manually update. Note that updates r meant to improve yo security and to fix some bugs. Yes I am still using Vista!!!! and auto downloads had been turned off when I 1st bought my Lap. My anitvirus is up to date… I am suspecting data is being hacked from Telone to tell you the truth. It is known around the World to happen from Service Providers, but it is hard and time consuming to catch the Person. I doubt your theory, Ddnt hv any problem with Telone data counter b4 . U must investigate people who are connected to yo wifi through 192.168.1.1 (username: user password: user) portal (check under LAN > Ethernet). It will show u number of connected devices ,even yo nxt doors can use it as long if they hv your password. Am out in the bush.. Closest house is over 300 m away. And no ways cud he hack from that distance or even get close enough… Telone did come out and assist so I could change my PW. If people still stay connected when expired what makes you think there are no other flaws within Telone Broadband! !